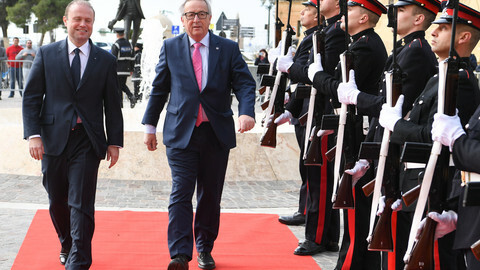 Malta will take the EU rotating presidency with the aim of ensuring the long term sustainability of the bloc and restoring faith in the European project, government officials have said. The six-month presidency will start on 1 January, but the Maltese cabinet was in Brussels on Wednesday (16 November), for meetings with EU institutions. Prime minister Joseph Muscat told journalists that his country was a "natural bridge builder" and would "make sure that Europe truly progresses on things that matter". Referring to the Brexit vote in June and the recent election of Donald Trump in the US, he said that the lesson to draw was that "a great deal of energy must be put not only on listening to people but also acting on people's concerns". For its first EU presidency since joining the EU in 2004, the Mediterranean island of fewer than 500,000 people will have "no delusion of grandeur", Muscat said. Malta has set six priorities: migration, security, single market, social inclusion, neighbourhood policy, and a final one of particular concern to the island, the maritime sector. Details of the programme will be published on Friday but Malta's parliamentary secretary for the EU presidency, Ian Borg, set out the main lines. He said that the focus would be on "legitimate concerns and expectations of Europeans citizens", and that Malta would be "careful to avoid unnecessary tensions and not to create suspicion". "It would be folly to think a complete redesign of Europe is on the cards," he said at a conference organised by the European Policy Centre think-tank. He said the EU needed the "courage to review and reform when we need to do so, and to remove or improve stagnant concepts and thinking". But he added that opening up treaties "would divert precious resources". Malta, where thousands of migrants have arrived by boat in recent years, will give priority to addressing the EU migration crisis. 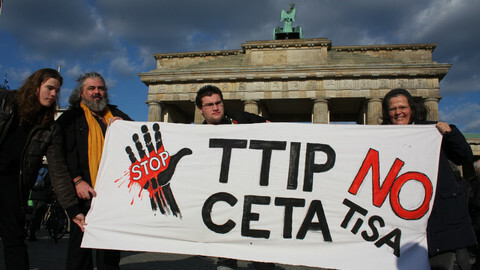 "People are demanding action, we cannot afford a complacent EU," Borg said. He said that Malta would push for "swift implementation" of measures already agreed and would try to put in place a EU asylum agency "as a mean of sharing burden more fairly". He said that reform of the asylum Dublin system "will be key". 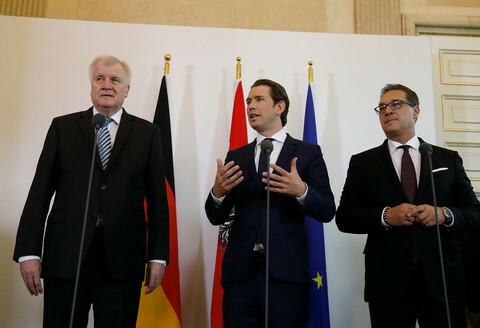 The reform of asylum system has been blocked so far by opposition from some member states, mainly in central and eastern Europe, to a mandatory relocation scheme proposed by the European Commission. Borg said he did not understand the meaning of "flexible solidarity", a catchphrase used by countries not wanting to apply relocation. 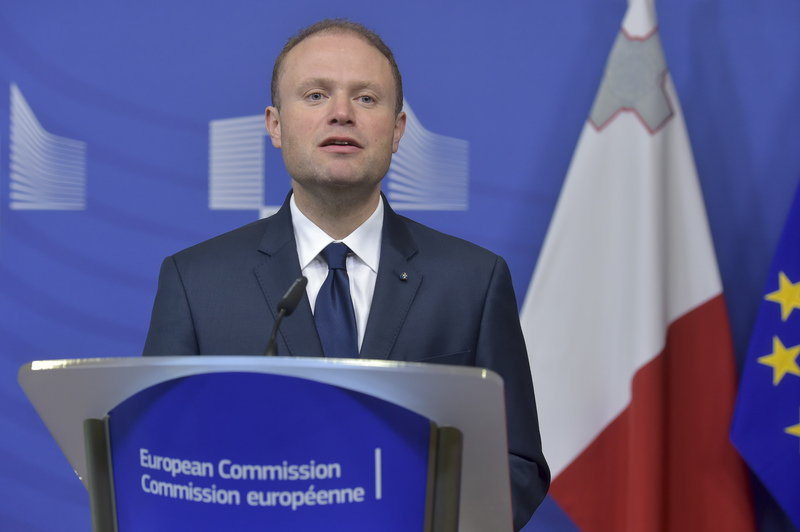 But prime minister Muscat told journalists that the EU needed to "understand better legitimate concerns from our colleagues in the eastern euro side", and that he would "try to come up with workable solutions". Following an EU-Africa summit in Malta in November 2015, the Maltese presidency will also focus on so-called compacts - agreements with African countries to try to stop migration to Europe in exchange for development aid. On security, Malta will insist on better management of the EU's external borders, a new system of travel information and better cooperation between member states on criminal justice. 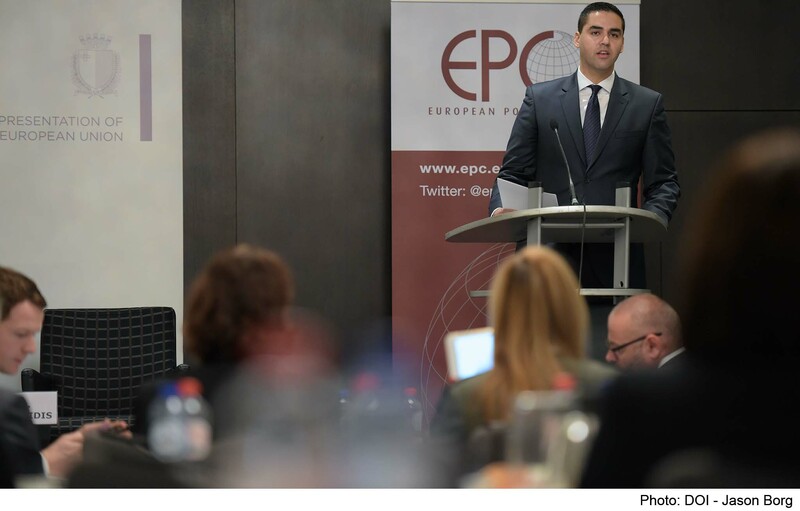 The Maltese parliamentary secretary insisted that the EU would try to "find the right balance between a strong system of security and protection of principles deriving from the concept of the rule of law". A third priority will be the neighbourhood policy, particularly with efforts to try to stabilise Libya, a few hundred kilometres from Malta. Borg said that the EU should try to cooperate cooperation with Russia on regional and global challenges. It should also continue to work with Turkey to control migration but faced with a human rights crackdown in the country, "it needs to be firm on values". Among its priorities, Malta will also push for a deepening of the single market, with an emphasis on the end of roaming charges on mobile phones and of "discriminatory geoblocking", Borg said. He said that a fifth priority would be to extend the EU's social dimension with an effort towards gender equality and non-discrimination for minorities. A last dossier is closer to Malta's interests: the maritime sector. Borg said that an integrated EU policy should be continued, with as a highlight the launch of a Western Mediterranean sea basin strategy to reconcile economic activities and protection of the environment. Although not on the official presidency agenda, Brexit will be in the background during the Maltese six-month leadership. First because the British government is due to trigger exit talks before the end of March, and also because Malta will host on 3 February a summit at 27 EU leaders to talk about what the EU will be without the UK. Borg said that the EU should adopt a "pragmatic approach" in the Brexit talks to ensure a "fair, clean and swift solution". And for the remaining 27 EU countries, he said that the "absolute priority" would be "restoring citizens' trust" but "not trying to reinvent the wheel." 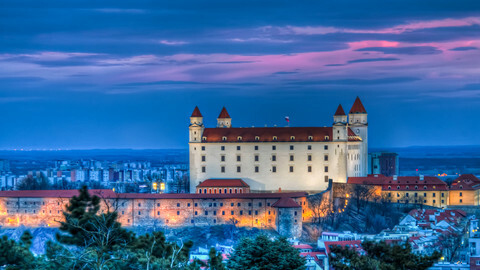 After Brexit, the EU should re-balance powers between EU institutions and member states, Slovak leaders said. 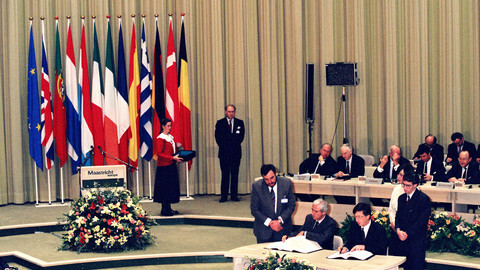 The solution to the EU's woes could lie in a return to the pre-1992 version of the bloc, rather than creating an inner circle of European integration. 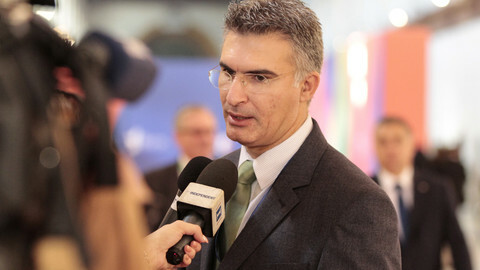 The forthcoming EU presidency will seek compromise on asylum policy and push forward discussions on the control of external borders, Maltese interior minister Carmelo Abela told EUobserver. 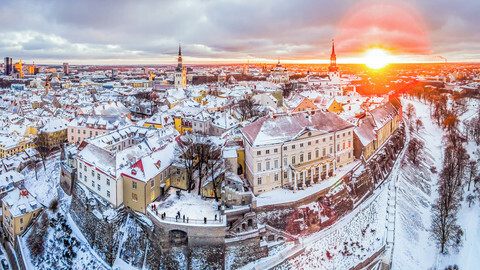 In its first ever EU presidency, the smallest member state aims to reduce the "huge disconnect" between politicians and citizens. EU leaders must pay special attention to the concerns of its citizens if it is to thrive in a time of waning faith in the project. German interior minister says European solution is "a matter for the heads of government" - throwing the gauntlet back to his boss, Angela Merkel. 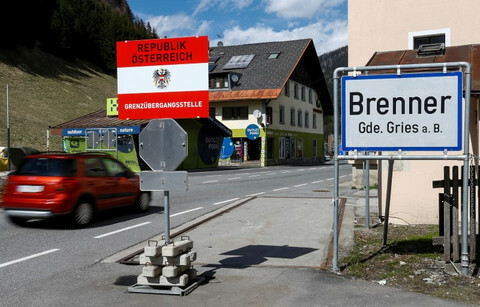 German interior minister Horst Seehofer is in Vienna on Thursday - as his plan to reject some asylum seekers was met by an Austrian threat to close its borders too.